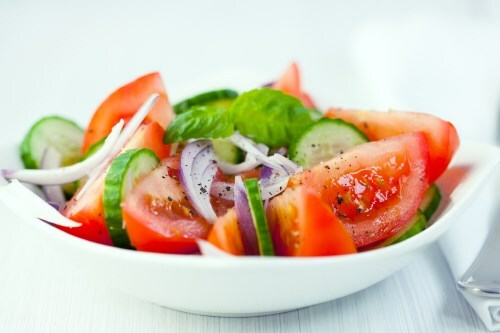 In a large bowl, combine the tomato, onion, cucumber, bell pepper, basil, parsley, garlic and vinegar. Toss and add salt and pepper to taste. Chill and serve.